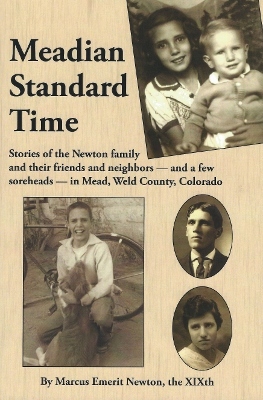 Marcus Emerit Newton’s book, Meadian Standard Time, is available at BWB! Feel free to stop in for it or contact us through this website (click About tab then Contact) and send us an email. We are happy to ship, as well, if necessary. This book is the perfect companion to his brother Ron’s two books on growing up in a family of 20 children. Marcus Emerit Newton tells stories of the first eighteen years of his life in Mead. Each chapter is in the form of a short essay that he originally wrote in the 1990’s for the Greeley Daily Tribune. Collectively referring to himself and his characters as Meadheads, Newton humorously recalls memories about himself, his family, schoolmates, farmers and other community folks. 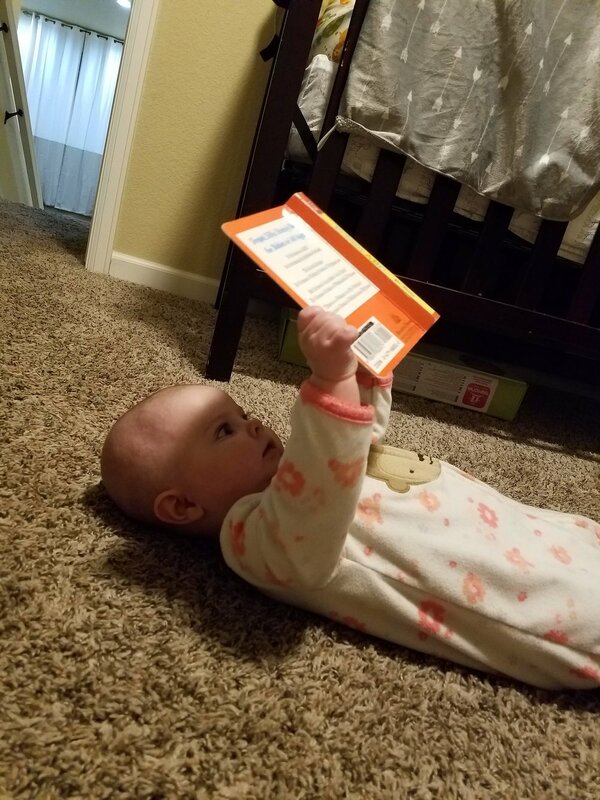 Barbed Wire Books youngest reader! Barbed Wire Books, located in the historic downtown district at 504 Main Street, is Longmont’s largest book store. An independently owned business since 2009, we sell new and used books at prices substantially less than those found in chain book stores. We feature local authors and craftsfolk and support our community in many ways. People ask, “Why Barbed Wire Books”? I want to pay tribute to the West. Some might say that without barbed wire, none of us would be here. And Colorado was certainly a part of the wild west. That’s all. Our used book section is extensive, totalling about 75,000 titles and well over 5,000 square feet, and comprises out-of-print, rare and unique titles. We stock genres from Art History to Western Americana and everything in between. Our children’s section has been called one of the best in the country! Our new book section is over a thousand square feet of current titles in fiction, nonfiction, children’s books and gifts. We carry bestsellers, classics, the old stand-bys and also have a wide array of local Colorado interest books. There's even a special section devoted to Pop-Up books! We carry the work of approximately 150 local authors, as well. Barb Dwyer, our somewhat animated spokeperson, hangs out in our front window and helps us promote the books of the moment. She and her cohorts have been known to get in some trouble now and then but for the most part she’s just a good, solid gal. Come browse our wide array of local and Colorado interest books, new and used. Our Western Americana section will occupy you for a considerable time! We carry maps of local areas and guides to instruct you on the flora and fauna, geology, weather and tourist interests of the area.